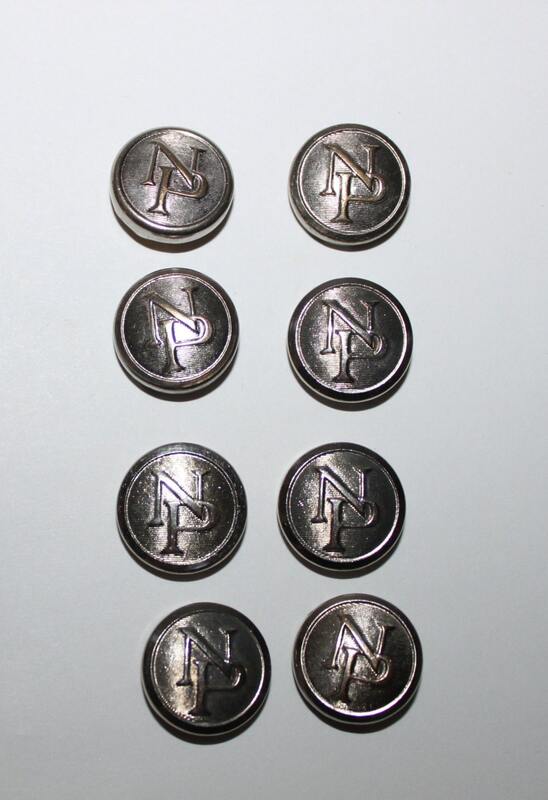 These are wonderful Mid-Century Northern Pacific Railroad conductor button covers. 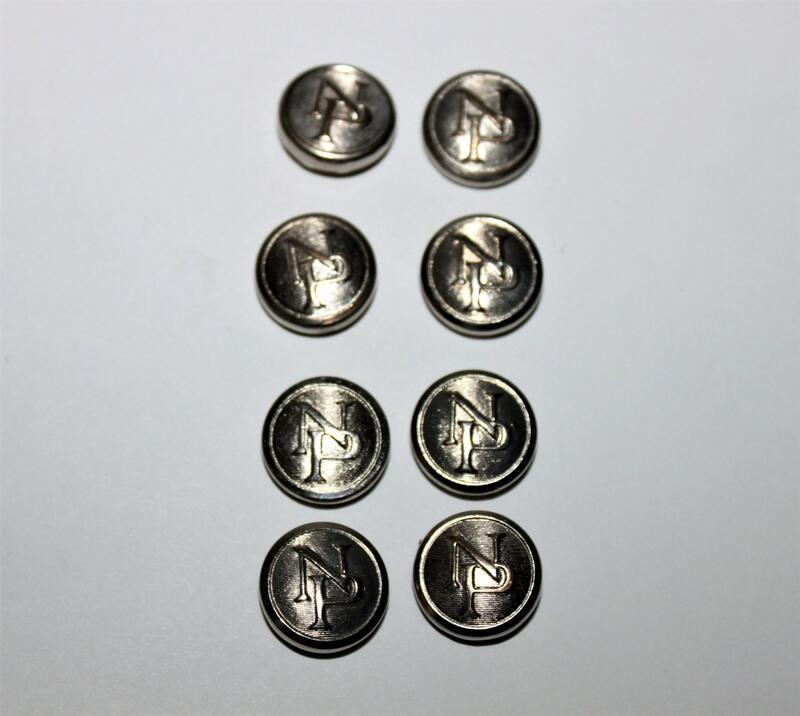 With raised letter these measures 11/16” for use on smaller buttons like shirt or vest. 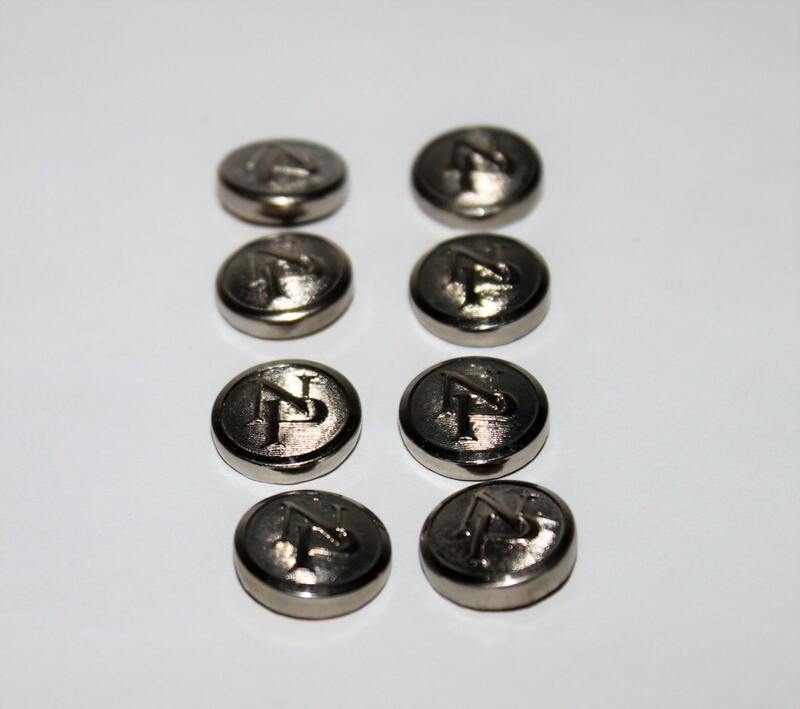 Button covers are made of nickel plated brass with brass swivel latches on the backsides. 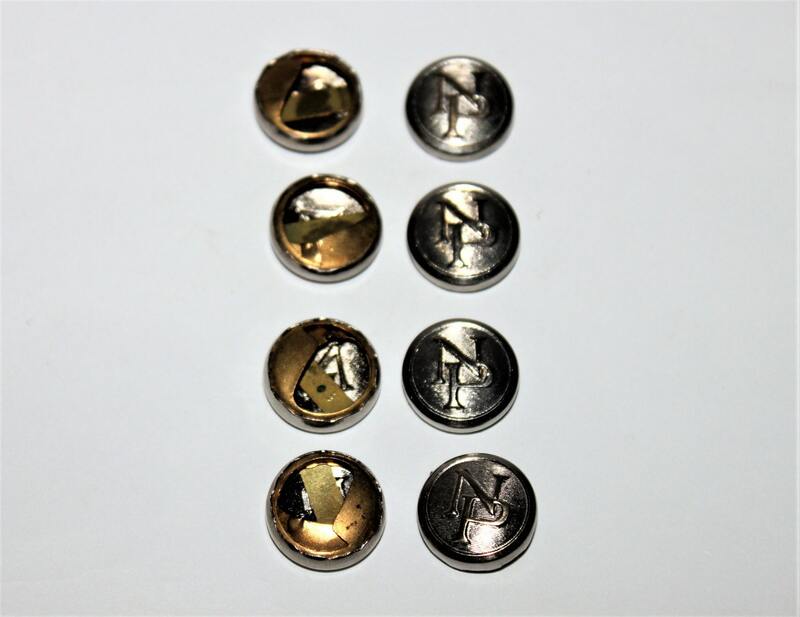 Condition; Very good vintage condition no dents or dings, slight finish wear on a couple raised areas but not bad.